Our recommendation is to use the original USB data cable and 5V2A or 5V/2.4A Wall Charger for faster fully charging result of between 13-15 hours. The last LED Indicator will flicker when charging the Power Bank. All LED Indicators would be on when fully charged. NOTE: This Power Bank is not type-c compatible. Choosing BACKUP POWER TL-58 eradicates your worries of being out of power for your devices while away from the power grid, because 13hrs of fully charged BACKUP POWER TL-58 can last you for up to 9 days power supply for your devices without the need for recharging it. 3.Built-in three iSmart USB output ports. 4.High capacity 26800mAh power IQ technology. 5.The smart LEDs display of remaining power. 6.Multiple safety protection system ensures you and devices safety: protection for overcharge, over-voltage, over-current and short circuit. Note: Compatible with iPhone, Samsung Galaxy, Smart phone, Smart pad, MP3/MP4, PSP/NDS, Camera and other smart devices. Fast Recharging: 5V2.1A Input, 3 USB Outputs, USB1 5/2.4A USB2/3 5V1A (Does not support Qualcomm Quick Charge)-fully recharge within 13-15 hours. 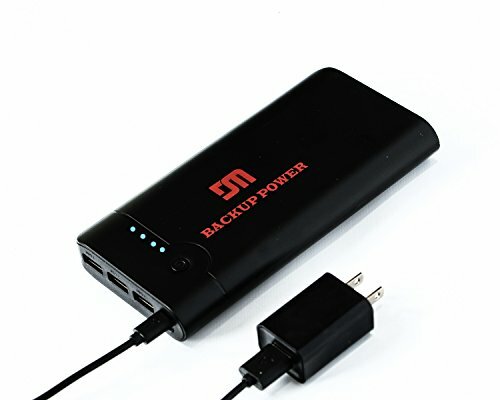 If you have any questions about this product by BACKUP POWER, contact us by completing and submitting the form below. If you are looking for a specif part number, please include it with your message.